Whisky is a tricky thing to introduce people to, for a couple of reasons. At the age when most people start exploring alcohol, palates tend to prefer the sweeter and more approachable tipples, and wallets don’t easily reach beyond the harsher end of the market. Whisky producers know this, of course, and always seek to make their products more approachable. This is why, for example, most of Japan drinks whisky in the form of Highballs – the spirit watered down a frankly absurd amount. 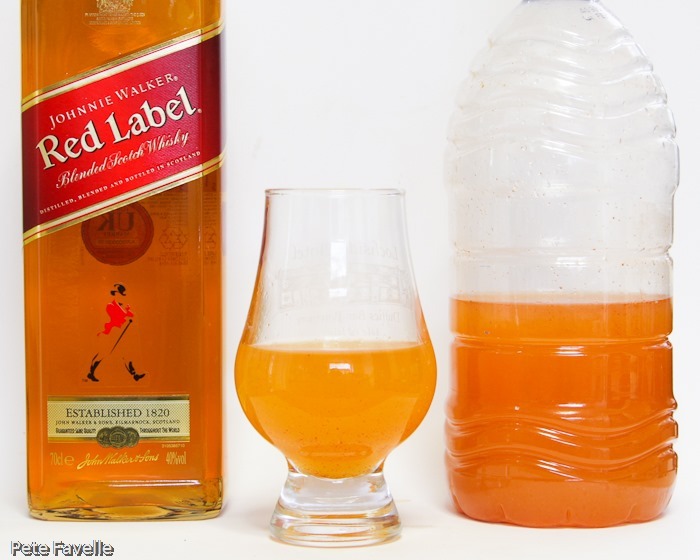 Enter Johnnie Walker, who are running a “Johnnie & Ginger” campaign to encourage us all to adulterate our whisky with ginger beer. Normally this would pass me by – I’ve never really got cocktails – but send me a packet of yeast and ask me to ferment something, and you have my attention. Not content to simply encourage me to enjoy a Johnnie & Ginger, I was challenged to brew up my own “bold” ginger mixer, using ginger, lemon and sugar plus any further ingredients I fancied. 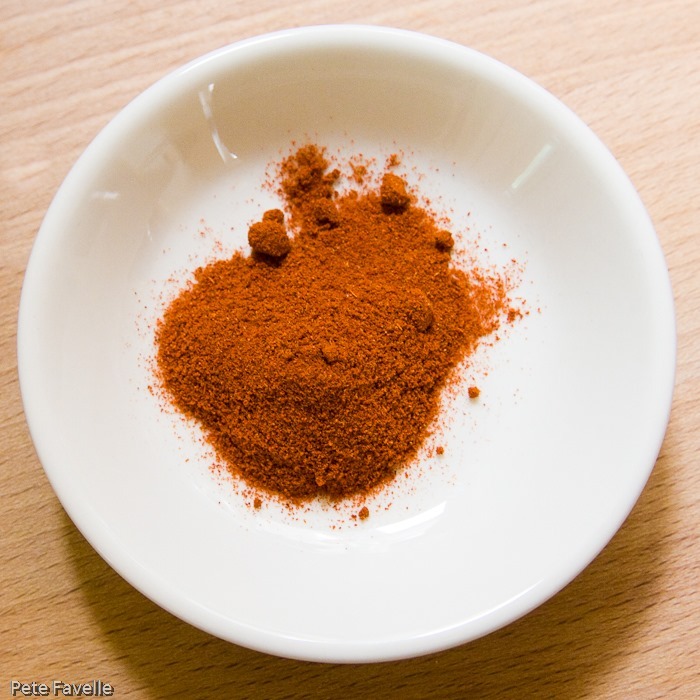 A wonderfully smoky paprika; sweet, rich and with a chilli heat that blends deliciously with the warmth of the ginger. Not to mention, it gives the finished ginger beer a fantastic colour! 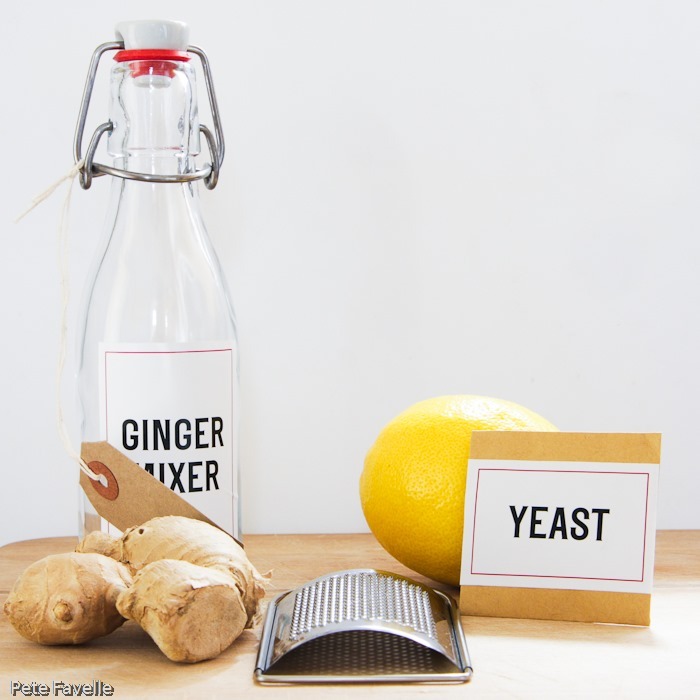 Pop all that into a plastic bottle, and be careful not to seal it too tightly – sugar, yeast and a tightly sealed bottle go together to make a loud and messy kitchen explosion. A couple of days later, it’s ready to taste! The resulting potion stubbornly refuses to clear, and despite attempts to force it through my Aeropress, it remains looking more like radioactive pond water than a desirable mixer. Close your eyes, and it’s a decent result. The nose is warmly ginger but not aggressive and well balanced by a hint of acidity from the lemon juice. The paprika is subtle but lurking there underneath, with an almost fruity smoke and a touch of pepper. In the mouth there’s a nice blend of both ginger and chilli heat, sweet without being overly sticky and more lurking fruitiness from the paprika. But how does it blend with whisky? The official guide is to mix your Johnnie & Ginger in a 1:2 ratio, and who am I to argue with the experts? The resulting drink is a pinky orange colour, looking more like freshly squeezed peach juice than a cocktail – next time, I shall have to improve my filtering technique! On the nose, the lemon becomes more pronounced and again, the smokiness of the paprika is lurking there underneath the ginger heat. In the mouth, the first impression is of sweet, sticky ginger beer which is quickly joined by a warmth that builds as time passes. It’s initially an alcohol heat which nicely balances out the sweetness, but it’s slowly replaced by a deep, lingering chilli warmth that lasts long after you swallow. The smoked character of the paprika isn’t as pronounced as I had hoped, but it’s definitely there in the finish, as the chilli slowly fades. If alcoholic ginger beer always tasted like this, they’d sell a lot more. I remain unconvinced that whisky needs adulterating with anything other than a small splash of plain water, but it’s been a fun experiment and I’ll definitely be making a bigger batch of paprika-spiced ginger beer, and figuring out how to get it properly clear. 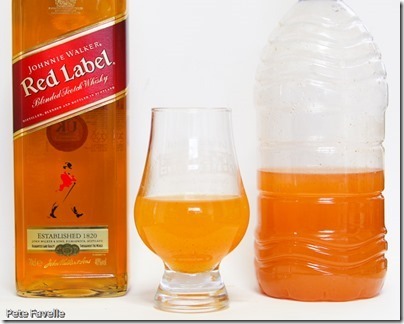 Johnnie Walker provided the whisky and the yeast; I brought the ginger, lemon and paprika!